Helping to Put It All Together...and to Keep It That Way! We tend to live our daily lives at such a fast pace, we can’t enjoy the process that God has set before us. We’re so busy we don’t realize God is trying to get us to worship and be in His presence. 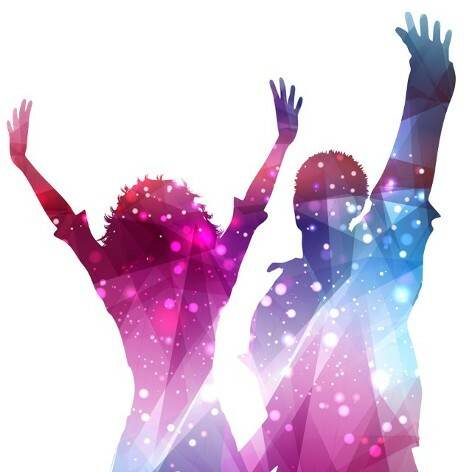 To improve the quality of your life through praise and worship, “The Melting Pot Worship” offers worship events that will change the way you think, move and live. Being in the presence of God brings a peace that passes all understanding and is the best stress reliever available to man. God wants to give you something! The “melting pot” worship is an organization that’s focuses and teaches the fundamentals of worship, sensing the presence of God and what He wants to do, and his purpose in that particular moment. It is essential to have the fullness of what God has for us; Living day by day in His presence, resting on his promises, and cultivating our relationship with him. Real transformation comes when in the Presence of God’s Glory! There are endless opportunities in our Worship Arts ministry including joining the Praise Band or Media Team. If you are looking to get even more artistic and serve in a unique way, you would enjoy our Worship Environment or Praise Choir Teams. Melting Pot Worship is a place where you can use your gifts and talents to not only worship God, but to also serve others in our church community through music. 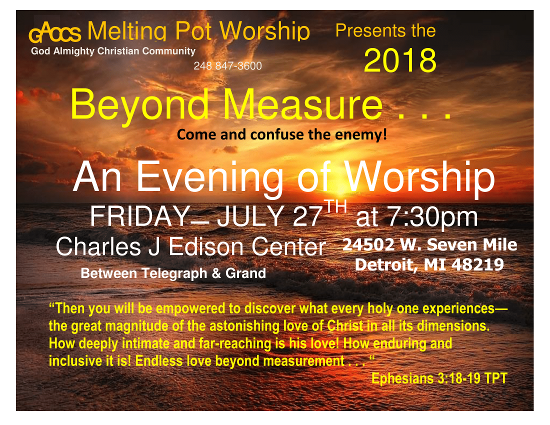 "Extreme Worship Exposes religion in us all"
Subscribe to receive information regarding Melting Pot Worship and keep an eye on our upcoming events.